1977. 80 pgs. DM 14,90. Softcovers. Transl. Marianne van Putten-Lutter. [corbenindex1,ober,pegasos,andi,cgde]Prob. almost similar print with The Odd Comic World of Richard Corben (1977). Frame from the story, “Cidopey”, the middel upper frame from pg 4. 11 pgs: pgs 8-18. s-Herb Arnold, a/r[Hot Stuf’ #3 (1976)]-Richard Corben. B&W. 1980. 100 pgs. DM 24,90. Transl. Robert Lug. [corbenindex1,ober,cgde,amazonde]Prob. similar edition with French Profondeurs (1978). A off-ripped frame from the story “Den 5: Elements”, Chapter 3 (“Giants bellow”), pg 17, upper right corner frame. The lower part of the frame cut out. 5 frames from 5 different story, by Richard Corben (“Rowlf [European]”), Jeronaton, Jean Giraud, Bilal, Macedo. 5 pgs: pgs 27-31. s-Starr Armitage, a-Richard Corben. Color. 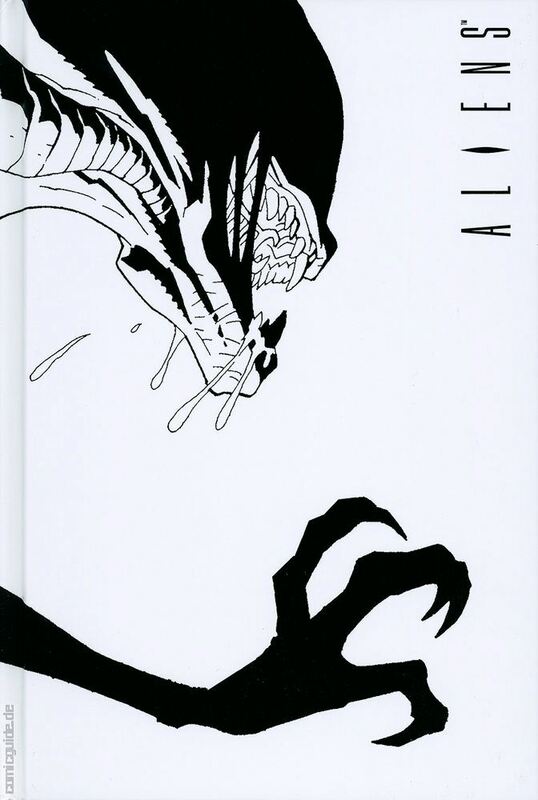 Appeared also in Italian L’Eternauta #26 (1984) and in Spanish 1984 [SPA] #50 (1983). Pg 2: “Zum Geliet”, by Robert Mann. Editorial. One third about Richard Corben. Short bio (Neverwhere [the Movie] (1968) misspelled as Neverworld). Pgs. 15-16. “Comics für anspruchsvolle – Comics par excellence”, by Dr. Klaus Strzyz. Article about past year’s (1984) translated comics in Germany. A half of last page about Richard Corben, focusing on a brand new Der Dämon in Cockpit (1985). Pg 2: “Zum Geliet”, by Robert Mann. Editorial. Two third (!) about Richard Corben. Extented bio (special mention of Der Dämon in Cockpit (1985)). 1993. Bastei Verlag. [sebastian]More than 1600 issues between 1974 and 2006 and several special issues. Most of the ghost-stuff was produced in Spain studios. A off-ripped frame (background removed) from the story, pg 9, sec. frame. “Graaao” looks like added afterwards; reminds a lot the original, which was out of dino’s mouth. In this version, the “A Sound of Thunder” logo erased from pg 1 (the German title is mere typed text above pg 1 frame). All text balloons and boxes with white background. Text box, “Time Safari, Inc.” translated in German on pg 2. No balloon lines on pg 2 (no special reason why, i.e. a mistake). On pg 9 the first onomatopoesia translated in German and redrawn, “Krachh”. Onomapoesia word on last page, last frame erased and nothing replacing it. Incl. Goon stories: “Die schwere Bürde des Gewissens”, “Die Quittung kriegt der Tod”, and “Die körperlich entstellten und die geistig Verdorbenen“. s-Daniel Way, a/r[Ghost Rider (Vol. 6) #6 (2006)]-Richard Corben, c-José Villarrubia. Color. Reprinted in Die Superhelden-Sammlung, #36 (2018). s-Daniel Way, a/r[Ghost Rider (Vol. 6) #7 (2007)]-Richard Corben, c-José Villarrubia. Color. Reprinted in Die Superhelden-Sammlung, #36 (2018). 1973. Verlag Klaus Bär. 76 pgs. 20,9 x 29,9 cm. Translation: Popp. [gcd]Title was forbidden from 1975 till 2002 by German Youth Care Court. See also Luke Cage: “Ein Mann räumt auf”. 10 pgs. s-Herb Arnold. a/r[Hot Stuf’ #5 (1977)]-Richard Corben. B&W. 1982/1983. Lettered by Michael Hau. Uncencored version. Incl. “Part II” on the title. 1980. Volksverlag. Portfolio. [pegasos]8 plates in B&W. 35x45mm. July 4, 2018. Marvel. 64 pgs. [dss]Incl. 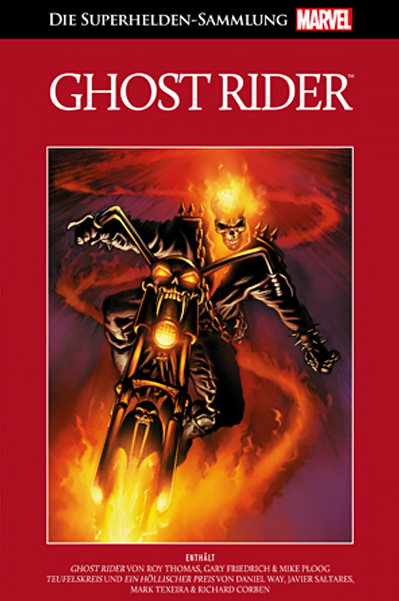 stories from publications: Marvel Spotlight 5, and Ghost Rider (Vol. 6) #1 to #7.
s-Daniel Way, a/r[Ghost Rider [GER]: Ein höllischer Preis (2007)]-Richard Corben, c-José Villarrubia. Color. 1988. Kunst der Comics. 72 pgs. A4. Hard Bound. DM 25,00. Transl. Michael Nagula. [sebastian,pegasos,cgde]Limited and numbered edition (500 copies, 350 of them for trade, 100 not intended for sale and 50 artist proofs) with the enclosed a signed print. Pg 38: Photo. Richard Corben in front of a huge “1984” magazine poster. B&W. Pgs 26-32. “Corben Interview”, by Jan Strnad [from Infinity #5 (1973)]. Pgs 39-43. “Wer hat Angst vor Richard Corben?”, by Achim Schnurrer [from Comixene (Juli/August 1979)]. Pgs 44-64. “Richard Corben interview”, by Brad Balford [from Heavy Metal #51, #52, #53 (1981)] + angry feedback from Richard Corben to Inteviewer [from Heavy Metal #54 (1981)]. The small illustrations included in Balford interview: first cover for Warren in color, B&W illustration for “Blood’s a Rover”, color detail of Mutant World’s Dimento eating an insect, color from sketch to final picture for “Arabian Nights” cover, color LP cover “Venus” (Morning Star), color LP Cover “Bat out of Hell” (Meat Loaf), one B&W picture “Rowlf”, four B&W drwaing details from Corben story, two B&W photos of Corben as school boy and Highschool graduation, color photo of Corben at desk and the B&W photo of Corben by Balfour. 5 pgs: pgs 21-25. s/a/r[Hot Stuf’ #1 (1974)]-Richard Corben. B&W. 5 pgs: pgs 33-37. s-Ed Faust. a/r[Hot Stuf’ #1 (1975)]-Richard Corben. B&W. Copyright © 2000 Heart-Attack-Series, Ink!